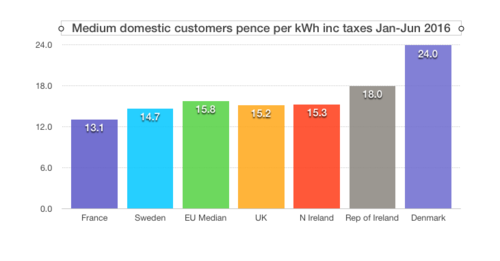 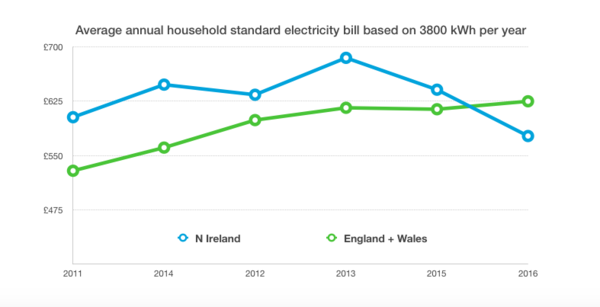 The gap between Northern Ireland and England and Wales on electricity prices has narrowed over recent times. 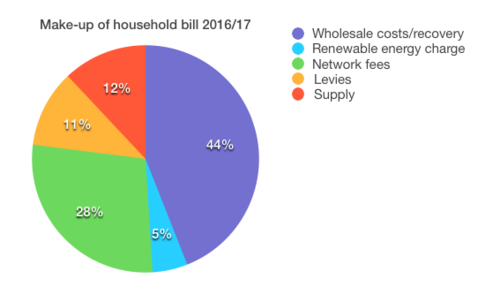 Tariff cuts last year mean that homes here, for the first time in at least twenty years, have been paying on average the lowest prices in the UK. It is claimed that the mix of competition and regulation which is peculiar to this part of the UK accounts for the relative improvement in bills.